Press freedom in Europe is more fragile now "than at any time since the end of the Cold War," a report warned on Wednesday, noting that journalists increasingly face obstruction, hostility and violence. The annual report released by the Council of Europe and a dozen partner organisations including Reporters Without Borders and the Association of European Journalists, calls for "urgent action" from the Council's 32 member states "to improve the dire conditions for media freedom." The report says some 140 serious violations were recorded on the Platform for the Protection of Journalism and Safety of Journalists in 2018 — a sharp increase from the previous year. 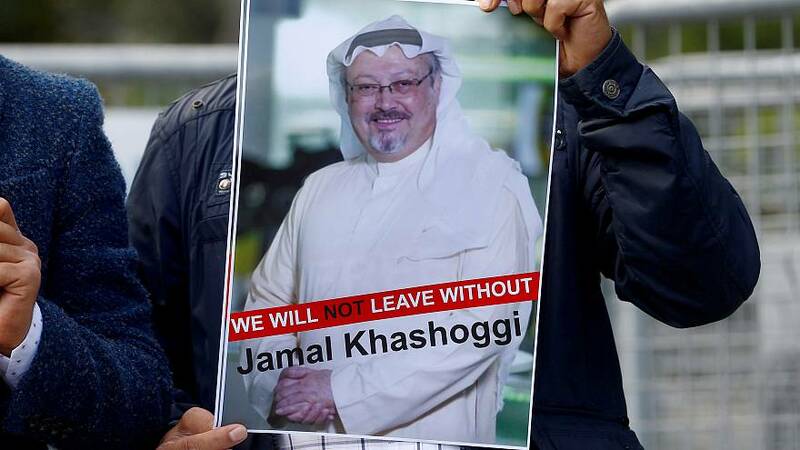 Two journalists were killed in the Council of Europe region last year: Jan Kuciak in Slovakia and Saudi columnist Jamal Khashoggi in Istanbul, Turkey. The number of alerts regarding attacks on journalists' physical safety and integrity rose to 35, including 29 which were categorised as "level 1" — the most severe and damaging violations to media freedom. These alerts include the detonation of a car bomb in front of a journalist's home, an arson attack on the headquarters of an investigative news website, and a knife attack on a journalist in front of his residence. The report also notes that the number of recorded threats, including death threats, doubled year-on-year in 2018. Italy registered the sharpest increase in the number of media freedom alerts last year, the report said. But it was not the only European Union state to get a special mention. Hungary was also cited for "a very high concentration of media in the hands of pro-government oligarchs." Russia's policies that "severely restrict the space for free expression" and Turkey's record as the "world's biggest jailer of journalists" were also mentioned as of particular concern. The report blasted what it described as "a clear trend towards verbal abuse and public stigmatisation of the media and individual journalists," including from elected officials, for contributing to the rise in threats against media practitioners. "Examples of verbal abuse by political leaders in 2018 include voicing regret that journalists were not yet "an extinct species", publishing lists of journalists who dared to be critical of the government and describing them as "traitors"," it wrote. "This is unacceptable and must be vigorously condemned,"
It also highlights that "impunity routinely protects those responsible for violent crimes who deliberately target journalists for their work" and deplores that legal protections have been "progressively weakened and denied." "The space for the press to hold government authorities and the powerful to account has been diminished," it said.